“How would you get to Reagan National Airport?” That’s the first question to answer. Once you’ve gotten onto the GW Parkway and passed the airport on your left, continue heading south. The Parkway becomes Washington Street as you enter the city of Alexandria. Cross King Street and take the third left after King onto Wolfe Street. You will find LTA on the right hand side of the street, at the corner of Wolfe and St. Asaph streets. From the 395/95 interchange area in Virginia, go east on the Beltway (outer loop) and take the exit for Route 1 North. As you exit on the ramp, you’ll drive onto Route 1 and get in the right lane immediately. Take the first right, onto Franklin St. At the light, make a left onto Washington Street. Pass two lights and make a right onto Wolfe St. LTA is at the corner of Wolfe and St. Asaph streets. From the Maryland side of the beltway proceed west (inner loop) across the Woodrow Wilson bridge and take the exit for Route 1 North. Follow the ramp onto Route 1, and make a right at the first light, onto Franklin St. At the next light, make a left onto Washington Street. Wolfe Street will be the third street on your right, and LTA is at the corner of Wolfe and St. Asaph Streets. If taking the metro, the closest station to LTA is the King Street station, located at 1900 King Street. This is about 13 blocks from the theatre. There is also a Dash Bus that runs from the King Street Station into Old Town. Parking is on the street. Watch posted signs, as some have two hour parking limitations. The Capital One Bank on the corner of Wilkes and Washington streets lets our patrons park in their lot when the bank is closed. Please note The Capital One Bank has extended their hours to include evening and weekend hours. Please make sure not to use their parking lot when they are open. 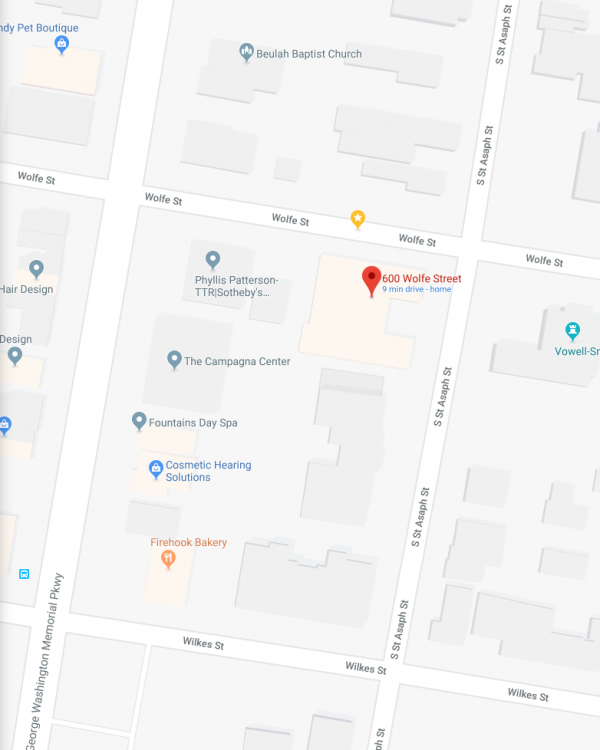 There are several garages within walking distance – one is on Washington Street, near King, and there are several on Pitt, near King. Look for the “Public Parking” signs. One handicap accessible parking space is located on St Asaph Street next to LTA’s courtyard. Click Map above to expand. From elegant fine dining, romantic bistros and family-style restaurants Old Town Alexandria offers a diverse selection of dining experiences. A wheelchair accessible ramp is located at the front of the building. Two wheelchair accessible spaces (O100 and O101) and three transfer seats with adjustable armrest (C1, F1, J1) are available per performance (subject to availability). An accessible restroom is available on the first floor of the building. Hearing assistant headsets are available at the Box Office for each performance. ASL interpreted performances are available by request, with at least 3 weeks’ notice. Contact the Box Office directly to make a request. Script loans are available for most shows and can be made available upon request through the LTA Business Office. Please request this in advance. Large print playbills are available upon request for each performance. Limited handicapped parking is located on St. Asaph Street next to LTA’s courtyard.